What we know as hand guided quilting machines have been around a long time. As far back as the 1960’s and 1970’s there were a few individuals and small companies offering what we now call shortarm quilting machines on frames. The basic shortarm is usually a commercial sewing machine taken out of a tabletop and set into a carriage system. The carriage system had two sets of wheels on a long frame. This system made it so you could move the machine over the stationary fabric. This was the first major step away from the more traditional machine sewing where you moved the fabric under a stationary machine. These were great and slowly began to gain some popularity with decorator workrooms making bedspreads and comforters. Working with these item’s thicker batting and larger sizes begged for a larger machine. A few people began to “stretch” the commercial sewing machines used to make shortarm systems. The stretching process involved sawing the commercial sewing machine in half, adding a spacer in the middle and lengthening the shafts to the needle and bobbin area. These “stretched” machines allowed the quilter to quilt larger designs. But the thick batting and long bedspreads rolled up larger than the 5” of inside height of a typical commercial sewing machine. Lengthening the shafts that drive the needle and the rotary hook can be a challenge. Increasing the inside height of the sewing machine was another matter altogether. There are more complicated mechanisms involved in doing this. Innovation stalled here. Fred Nolting loved to work on any type of machine. He also loved to invent and innovate. Fred had been involved with sewing machines most of his life. He worked at a sewing and quilting factory in Stover, MO as the mechanic for all the machines. While working there he began to stretch and modify machines for hand-guided quilting. In the 1970’s he built a rough proto-type of a long reach machine that was also high inside the throat of the machine. It was crude but it worked and was the major breakthrough for the next generation of hand-guided machines. The next few versions were more polished and began to get full time use in the factory. The owner of the company where Fred worked and Fred took their quilter to a few quilt shows. It was not well received by the majority of quilters. The majority of quilters felt machine quilting was for comforters and not quilts. But a few brave souls dared to break the standards. It wasn’t long until Fred was asked to build machines as a sideline for others to sell. Fred agreed to begin building machines for Ken Gammill to brand and sell. The innovating began to speed up as the number of machines in the hands of customers increased. Handles on the front and rear of the machine and the hopping foot were important improvements. Fred made it a full time business in 1984. Operator feedback was helping to guide the design and features of what was beginning to be called the longarm quilting machine. Hand quilting as a service business had been around a long time. More customers began to offer hand-guided machine quilting as a service to quilt piecers. By 1989 Fred began to put his own name on his machines. Fred began working with Paul Statler to offer the first computer driven longarm quilting machine. Laser pointers and templates started to be used. In 1997 Fred contacted Zoltan Kasa asking for an independent stitch regulator. Zoltan had the basic programming ready for demonstration later that week. Nolting Manufacturing showed the first functioning independent stitch regulated longarm at the Houston Quilt Festival in 1998. It was another major breakthrough. Zoltan Kasa made Intellistitch his full time business shortly after that debut. In 2001 Fred Nolting decided he was ready to retire and sold Nolting Manufacturing to Daniel Terrill. Later that year Nolting moved to an even larger facility to continue the growth and innovation. Longarm quilting machines continued to gain greater acceptance with quilters. Quilters began asking for a machine sized and priced for personal use. In 2002 Nolting introduced the Hobby Quilter. It became very popular. As part of the celebration of 20 years in business in late 2003, Nolting introduced the Pro Series. This innovation brought fully customizable handles front and rear and a third generation digital stitch regulator option package to the commercial line of longarm quilting machines. It is now generally acknowledged as the finest and most desirable longarm in the world. 2006 began with the introduction of the Fun Quilter. Nolting had always been known for making the world’s finest commercial longarm. The Fun Quilter matched that super quality and is the world’s finest longarm for personal use. The 17” version works on most of the frames that are on the market. We continue to listen to you, our customers and respond with innovative high quality machines, frames and accessories for all quilters to enjoy. In what has become a world filled with throwaway products it is rare to find something with lasting quality. Nolting longarm quilting machines are one of those rare items. In all the years of making longarm quilting machines for people that quilt thousands of quilts every year as part of their business, we know of no Nolting that has ever been worn out. The machines and frames are built to be used, a lot. Some parts will wear and when they do they are designed with the intention that the operator can replace them. Business operators do not have spare time to wait for lengthy repairs. They have deadlines to meet and bills to pay. They need to be back quilting immediately. Nolting longarms are engineered with simplicity and durability as our goal. If it never breaks you will never have to fix it. And any adjustment can be made by the operator. Nolting Manufacturing really manufactures our machines and frames. We do not make needles or bobbins but we do manufacture everything that is unique to Nolting machines and frames. We do the sawing, bending, milling, welding, lathe work and drilling of every machine and frame. We also do the assembly. Our assemblers take a finished longarm machine body and assemble it completely. They install everything from the electrical and electronics to the gears and shafts to the sewing components to the decals and the unique serial number plate. When they are finished they put every machine on a frame. We have a quilter that works here and she sews with every machine prior to it leaving the factory. It does not leave until she has successfully sewn with it for a certain length of time. Our frames are completely assembled prior to shipping and the machine is fine tuned to its specific carriage and frame. We really go the extra mile to assure that you get off to the best start possible. Accidents happen and things can get out of adjustment. 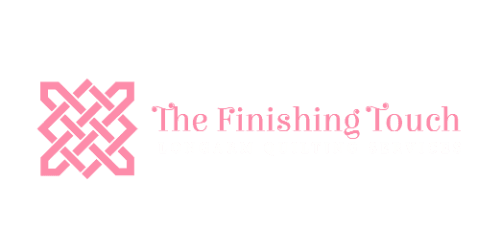 With our network of trained dealers that are also experienced longarm quilters, you have great local support. If you are new and have quilting questions or just need a little guidance, the dealers are more than happy to help you any way they can. For more in depth technical support you also have access to the world’s foremost experts in longarm quilting machines. When you call the factory with a question the assemblers literally get up from their bench where they are assembling machines and take your call. This is not someone trying to read the manual to you. It is the worlds best longarm technicians. They can help you correctly diagnose any challenges you may have. They know what “that black thing behind that silver thing” is. They often can even diagnose the machines by the sounds over the phone. If you ever need to call, please be at your machine. They care about you and want to get you back up and running as quickly as possible. Quality American made products are status symbols for discriminating consumers in all the markets of the world. American made products are known for the superior quality and durability. Nolting longarm quilting machines and frames are manufactured in America’s heartland. Made to be used everyday for generations to come. Like any important purchase you are challenged with the price/quality scale. It starts with low price for low quality moves through moderate price for moderate quality then on to high price for high quality. With all the choices you actually have a wide range from one extreme to the other and everywhere in between. Only you can think through all your needs, wants and future plans to decide where on the scale you should target. You are secure in knowing that Nolting machines and frames are the highest quality in any price category. Nolting is known for offering the highest quality in all the sizes and features. We avoid gimmicks and fads. Over all the years we have seen many features, options and accessories offered that were of little practical value. Nolting machines and frames have been refined to be simply the best. Longarms should be easy to set up, easy to load, easy to thread, easy to operate and easy to maintain. These are our goals. Why make it more complicated than it has to be? If you are ever near our factory in Eastern Iowa we encourage you to stop in and see us. You can see where and how our machines and frames are made. You can learn a lot about longarms and it's fun. Nolting machines are on display at quilt shows around the world. Either way please stop and see us. We love to help you with your research. And as always... We will help you any way we can. The Nolting Longarm quilting machine is the best machine for your quilting room. The originators of the modern longarm machine continue to provide you with the features you want and need, at the most competitive prices. Light, strong, durable, dependable, high quality, easy to maintain, easy to repair, easy to operate, and affordable are all trademarks of Nolting Mfg., Inc.
We fabricate the bodies from 3/16" aluminum plate (24" & larger) for lightweight and super strength. This provides fluid motion for years of comfortable quilting. Our gear belt drive provides quiet, accurate power to the top shaft. We inject expanding foam inside the body cavity to reduce vibration and noise for comfortable sewing. Our cord chain keeps the electrical cord out from under your feet while sewing on the pantograph side of the table, allowing you to concentrate on the pattern. The rollers are located so as to provide easy access to change the bobbin without moving from your location on the quilt. All tables come leg levels, allowing for your custom height adjustment. Hydraulic lift legs are available as an option. Nolting Manufacturing machines are built in our factory. When you call with technical questions, you are talking to the people who build the machines. We offer a 5 year warranty on our machines and frame. Inquire with us about customizing your machine or table for your specialized needs.